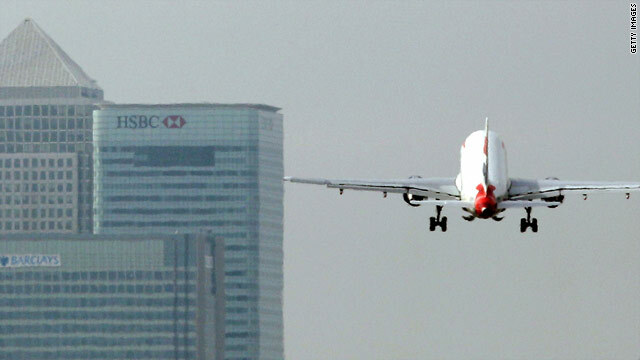 A British Airways airplane takes off from London City Airport. London, England (CNN) -- British Airways on Wednesday criticized attempts by the union representing the airline's cabin crews to internationalize their planned strike among sympathetic labor organizations around the world. Members of the Unite union have voted to strike for three days from Saturday and then for four more days from March 27, causing disruption to BA schedules, but the airline has said it hopes to operate 60 percent of long-haul services. The industrial action is over planned changes to cabin crew conditions, which BA says will save the carrier more than £60 million (more than $90 million) a year. Unite says the plans call for working hours to be extended and crew levels to be cut, changes it says will damage customer service and the BA brand. Unite said Wednesday it had received messages of support from unions in other countries for their planned action, but BA warned that it should not seek to draw in other countries. "It's sad to see Unite seeking backing from trades unions overseas to support its unjustified strikes against an iconic British brand," a BA spokesperson told CNN. Reports in the British media on Wednesday said partner unions in America, Germany, Spain and Italy could make it difficult for BA to operate strike-breaking flights. Union members in those countries could mean BA will be unable to service flights, the Daily Mail reported. However, union experts told CNN they believed the most that unions could do would be to write letters of support and possibly take part in picketing. We stand in solidarity with our brothers and sisters at Unite who are fighting for a fair contract at British Airways. Unite is said to have close links with the U.S. Teamsters union, which has 1.4 million members and has offered its support for the BA strike action. "We stand in solidarity with our brothers and sisters at Unite who are fighting for a fair contract at British Airways," Teamsters said in a statement. "The Teamsters are an active member of the International Transport Workers Federation. ITF affiliates around the world are mobilizing to support British Airways workers in their fight for passenger safety and worker respect. "Teamsters General President James P. Hoffa has been in communication with Unite's Joint-General Secretary Tony Woodley regarding his members' struggles with British Airways management. Representatives from Unite will be meeting with officials from the Teamsters Airline Division in Washington D.C. on Wednesday, March 17, 2010." Meanwhile, BA is to increase its flying schedule for the period of Unite's strikes as larger volumes of cabin crew call the airline to offer to work in support of the company's contingency operation, the company has said Wednesday. Its contingency plan had hoped to allow nearly 50,000 customers -- about half the normal figure -- to fly each day during the first strike period. But the airline said in a statement that the number of cabin crew offering to work as normal has increased significantly -- and is expected to grow further -- allowing it to reinstate some previously cancelled flights and provide extra capacity for both longhaul and shorthaul destinations. "The determination of our colleagues across the whole business to keep the flag flying this weekend is increasing," said BA CEO Willie Walsh. "I am delighted by the numbers of cabin crew who have been getting in touch with us to express their disillusion with Unite's position. Our crews just want to work as normal, do their usual terrific job and look after our customers. "We will now have the potential to fly more than 4,000 additional customers per day and serve more destinations. We believe this is a helpful move at a time when customers are facing rising fares with alternative carriers." At London's Heathrow Airport, more than 60 percent of British Airways long-haul flights will be operated during the first strike period, the company said Monday. In addition, it will operate all long-haul flights to London's Gatwick Airport and more than half of the short-haul flights at Gatwick. The airline said it has also made agreements with 40 other carriers to rebook customers free of charge during the strike period if their British Airways flights are canceled.